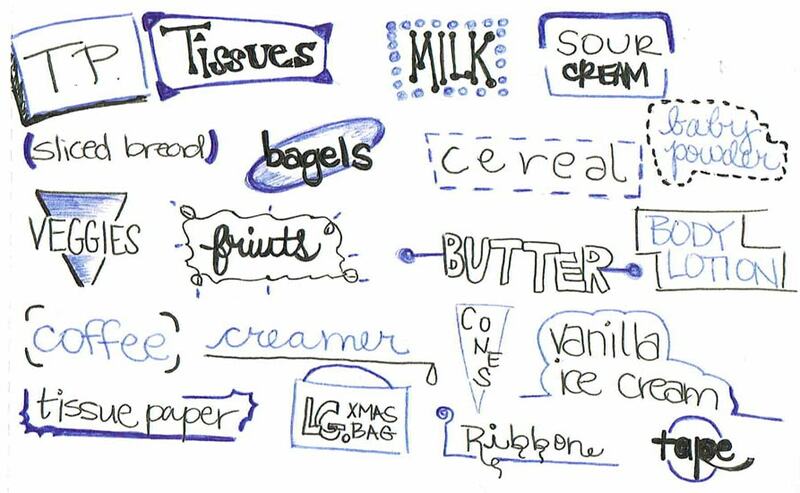 Our first shopping list is probably as famous as Michelangelo’s grocery list. In 2017 a grocery list appeared on the internet made by Era Golwalkar for her husband. 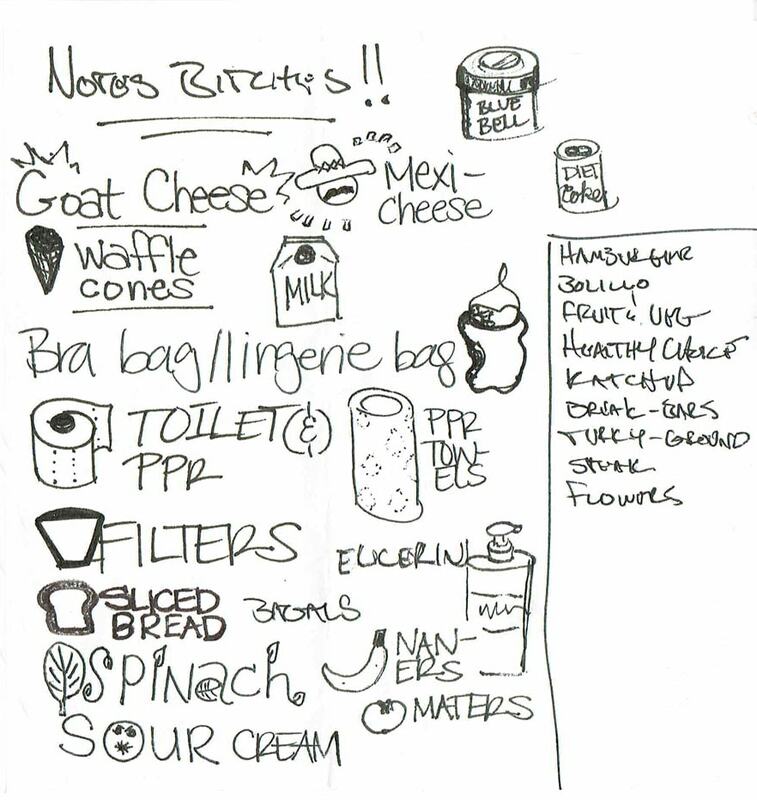 She illustrated her shopping list to help her husband buy the correct ingredients. She didn’t do this because her husband is illiterate (as far as we know, he isn’t). The problem was that, as someone very new to cooking and grocery shopping, sellers would exploit his lack of shopping knowledge. We hope the meticulously diagrammed list helped Era’s husband. But regardless, it’s impressive to look at. Photograph courtesy of Julia West of The Alchemic Kitchen. Having to deal with a significant issue with your health is difficult. But a good friend can certainly make things easier. Julia West’s friend was diagnosed with insulin-resistance/pre-diabetes. So, she decided to create an amazing shopping list to help make the necessary diet adjustments. The list looks fantastic. It is full of clearly presented information on the type of food the recipient should be buying. Not only is it made with fantastic penmanship and creativity, but it’s also made with a great deal of love. Our parents can often surprise us, and redditor u/stonecold1399 got a surprise when they found their mother’s shopping list. And we couldn’t agree more, as it’s undeniably gorgeous. 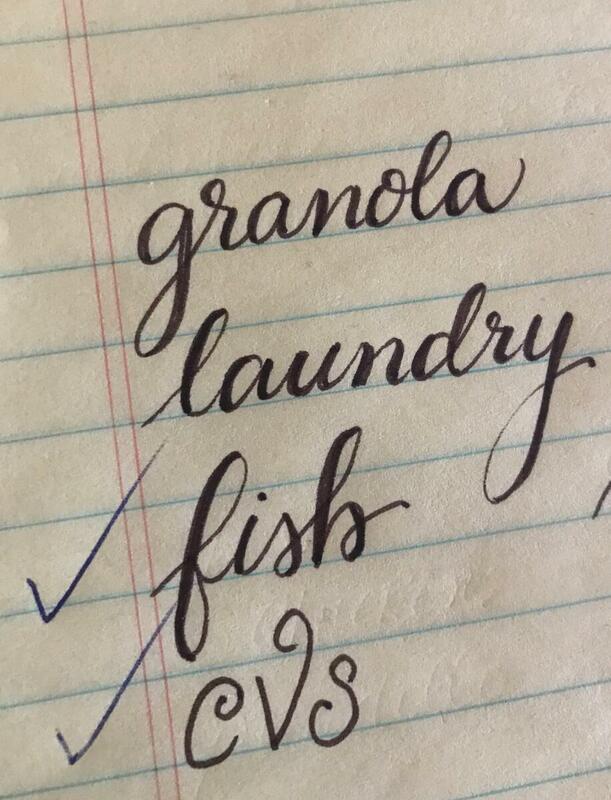 This shopping list belongs to calligrapher Decalex. We’re not sure what’s more intriguing: the luscious curves of their handwriting, or the fact that it’s entitled “Snowpocalypse”!? We hope Decalex stocked up on plenty of the items listed and kept nice and warm. You can follow their work on Snapchat and even buy some of their sumptuous calligraphy creations. Hunger affects people oddly. Most noticeable is the grumpiness it can cause often referred to as “hanger”. But we never thought that hunger could make people creative. Redditor u/giraffequeen360 produced this list whilst their stomach was rumbling. What makes this so fabulous is not only the little illustrations, just like Michelangelo’s shopping list. They also took the time to write each item in a different style. We’d hate to use this list for shopping. It would be a travesty to put a line through any of these wonderfully written groceries. For some people, graphic design isn’t only a job: it’s a passion. 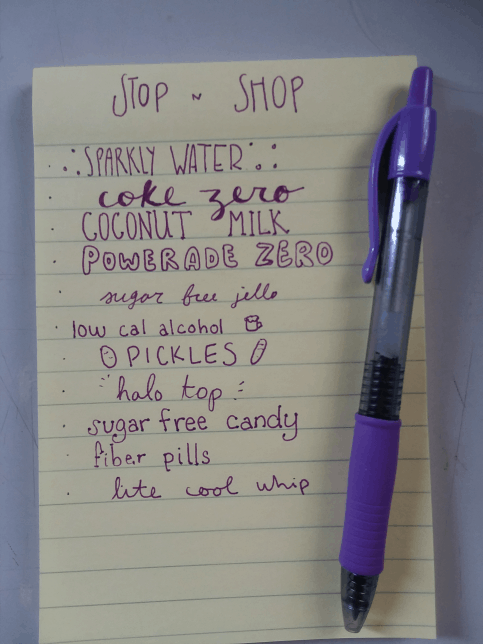 Yamairah Keller decided that they’d practice their flair for design on their blog using the humble shopping list. The results are quite special. There are different layouts, concepts, and writing styles. There are also pictures like Michelangelo’s drawings. Keller also toys with categories in one list. We can’t decide which one of Keller’s shopping lists is our favorite. They’re all delectable! Photograph courtesy of Seb Lester. 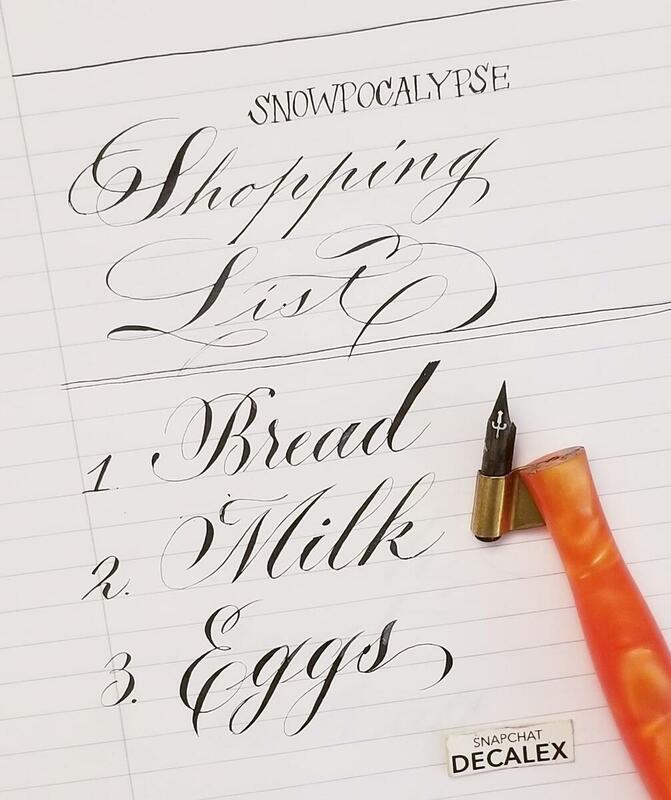 Calligrapher Seb Lester made an awe-inspiring shopping list on the back of an envelope. The contrast between the mundane ephemera and the beauty of Lester’s calligraphy is playful and exquisite to look at. Like Michelangelo’s grocery list, Lester made something humdrum, written on something fleeting and forgettable, into a real piece of art. Be sure to check out his website for more of his heavenly designs. 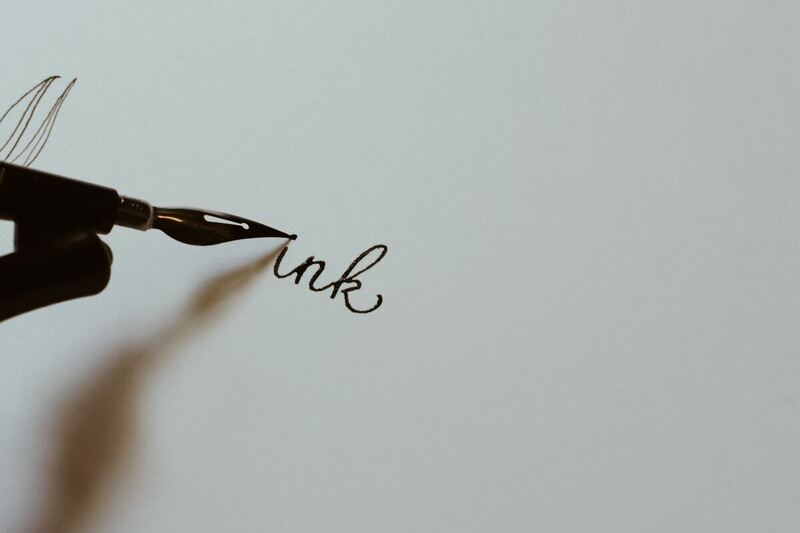 You can even have online calligraphy lessons with him if you want to brush up on your penmanship skills. If you weren’t already inspired by Michelangelo’s shopping list, we hope that these 7 other examples of beautiful shopping lists will encourage you to make your own masterpieces. Which list was your favorite? Are pictures are a good idea to add to a shopping list? 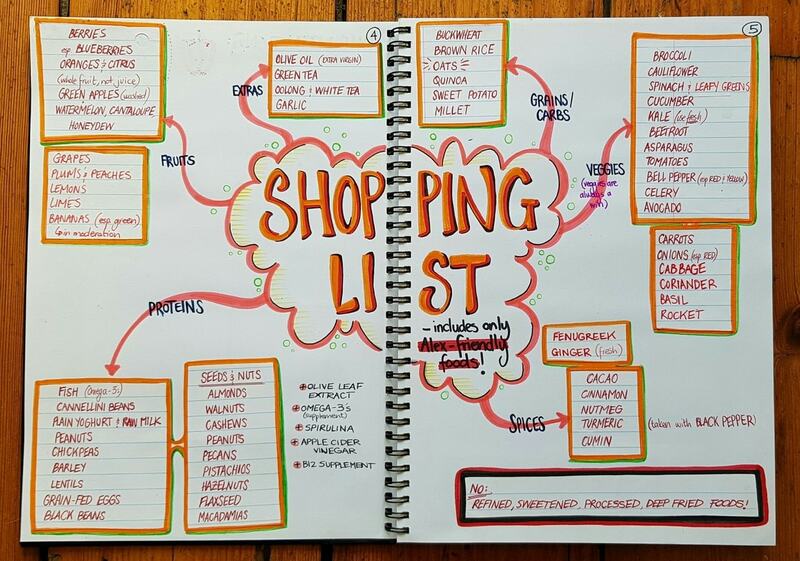 Do you have any examples of your own beautiful shopping lists? 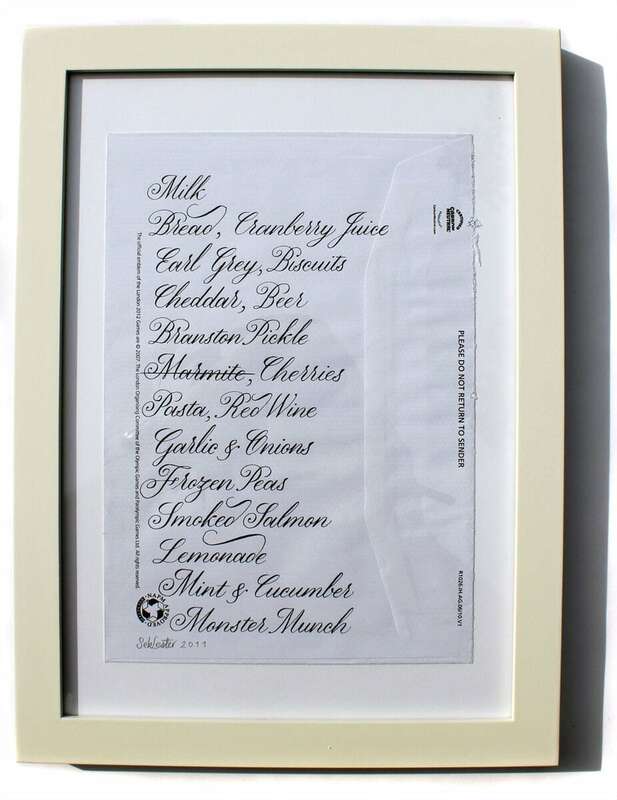 Are any of these actually better than Michelangelo’s grocery list? Please let us know in the comments.